The 75th Commemoration of Pearl Harbor was set to be an unprecedented event. It would be, perhaps, the last time the remaining Pearl Harbor Survivors would gather to honor the occasion. 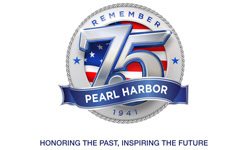 4Front Branding assembled a team of professionals to respond to the Request for Proposal and was selected by the Executive Committee of the 75th Commemoration of Pearl Harbor to create an integrated marketing plan (media planning, social media and web support, public relations, media coordination and advertising). The team was made up of public relations professionals, travel industry specialists, media consultants and social media mavens. Tasked with both planning and executing the campaign within a relatively short, nine-month window, the elements of the plan would be adjusted to conform to tight deadlines and changing conditions. The planning and coordination paid off. 4Front Branding’s advertising efforts generated more than $812K in value from a $168.8K investment (nearly 5:1 value to cost ratio). Online attention via website and social media accrued 25,519 followers and reached a total of 5.1 million people. Public relations efforts garnered a total publicity value of $368M through local, national and international print and online interviews and stories as well as TV segments. The success of the campaigned impacted Hawaii tourism as well: domestic arrivals for December 1-11, 2016 were up 6.3% versus the same period last year. The economic impact of the project statewide reached a total of $18.4M. The campaign created awareness of the 75th anniversary and the events surrounding the commemoration, supported attendance at the commemorative events by visitors and residents and broadly communicated the significance of the 75th commemoration locally, nationally, internationally and to the travel industry. Hawaii’s pelagic fisheries are recognized by the United Nations as exemplary responsible fisheries. They’re strictly regulated, monitored by Federal & State agencies for a sustainable future. The quality of their wild line-caught fish is superb and preferred by culinary professionals. Caught by our Hawaii-based U.S. fleet and handled with strict guidelines, it’s a great tasting premium product you can eat with a good conscience. In 2007, the Hawaii Seafood Council selected 4Front Branding to help organize communications and develop a brand for the organization. We had to make sure that Hawaii-caught fish maintained its perception as a premium brand. They also wanted to be viewed as an authority on Hawaii fish. When the website launched in 2010, it became a key reference tool for the industry, researchers, retailers and consumers. In addition to marketing and branding services, 4Front Branding also provides planning, issue management and consultation to the Hawaii Seafood Council. On rare occasions, we have the opportunity to define a brand from the ground up. In 2007, Honua Kai Resort & Spa was being developed as a new concept in luxury vacation accommodations for the island of Maui. It was built to be a “category disrupter.” A hybrid of a hotel and condominium. The resort offers expansive one, two and three bedroom condominium suites with modern luxury hotel services and amenities, swimming pools, a fitness center and restaurants. The first completely new development on Maui in the last 15 years, it required the entire suite of branding services: strategic consulting, brand strategy, corporate identity, photography, hospitality collateral, sales presentation materials, website, emarketing, as well as, trade advertising (print & electronic), consumer advertising (print, radio & television), promotions and social media. Establishment of this strong brand paid off. Honua Kai Resort & Spa has enjoyed unrivaled success in the 5 years it has been fully opened. Especially attractive for families and groups of people who enjoy vacationing together, it occupies a unique niche and has consistently surpassed all of its competitors in occupancy, ADR and RevPAR. 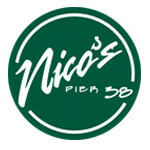 Started as a “hole-in-the-wall,” Nico’s Pier 38 specialized in gourmet food in a “plate lunch” (styrofoam) style. Offering fresh fish straight from the Honolulu fish auction next door on the Pier and bright local flavors. This lunch hot spot gained popularity with locals, office and dock workers alike. After Nico’s was featured on the Food Network’s “Diners, Drive Inns & Dives” business rocketed. When the owners decided to move and expand the restaurant, 4Front Branding was called in to provide interior design, operations, staffing, wine service advice as plans were developed. Keeping the new Nico’s “Nico’s” was going to be the challenge. Nico’s has been reimagined next door into a 160-seat open-air restaurant. It’s French taste and local style maintains the connection with the fishing fleet. Alongside it’s famous lunch offerings, they have added a more formal dinner service, a full bar and a fresh fish market. In 1983, two commercial fishermen, Sean Martin & Jim Cook, decided to start a fishing supply company to service an underserved commercial market. They started Pacific Ocean Producers, primarily to serve the fleet and fishing operators in Hawaii. They quickly grew to serve operators across the Pacific in Mexico, Asia and the South Pacific. That success opened other business opportunities for them. Realizing that the “Pacific Ocean Producers” name no longer described what they actually were evolving into, they approached 4Front Branding. 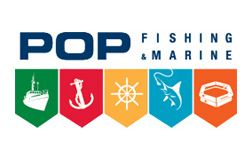 We found that their customers had already renamed them “POP.” So, we took advantage of that and built their brand around their new moniker “POP Fishing & Marine.” There was no single symbol could represent them. So, we went with a multiple symbol and color palette to show their multi-faceted nature and to help them retain familiarity with their valued core customers. Based on their reputation as experts, POP Fishing & Marine continues to expand inventory beyond commercial fishing and extend into new product development.